Two workers died in separate incidents involving water storage tanks at two different nuclear power plants, located in the Japanese prefecture of Fukushima. 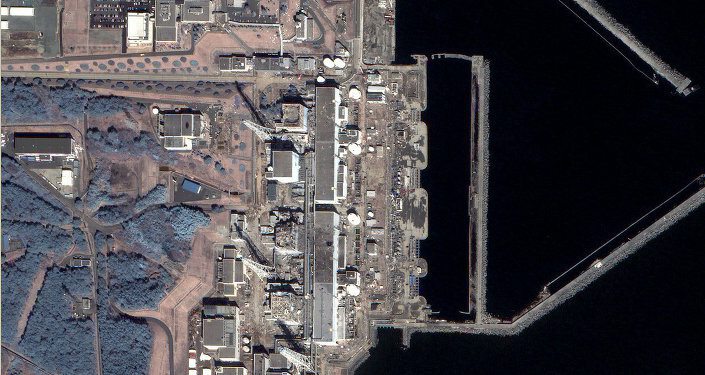 MOSCOW, January 20 (Sputnik) – Two workers died at the crippled Fukushima Daiichi, devastated by a tsunami in 2011, and a nuclear power plant located several miles away, AFP reports, citing Tokyo Electric Power Company (TEPCO). One worker died after he fell from the top of a water tank he was installing. "On January 19, 2015, at around 9:10 A.M., an employee of a cooperative company fell approximately 10 meters from the top plate of a water receptacle plant which he was installing," TEPCO said in a press release. Fukushima operator added that an investigation would be launched into the causes of the accident, adding that "[w]e pray that his soul rest in peace and express our sincere condolences to the family." Another worker died at the Fukushima Daini nuclear power plant, located several miles south of the crippled plant, AFP reported, citing TEPCO. He fell into a water storage tank during an inspection. "He was wearing a harness, but the hook was found tucked inside the harness. 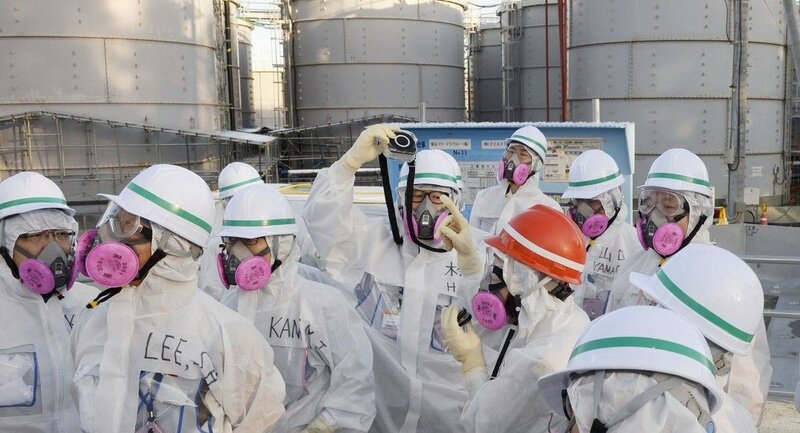 This means the harness was not being used," said a TEPCO spokesman, as quoted by the news agency. "We are investigating whether safety measures were appropriately observed," he added. © Photo : GEOEYE, "Scanex"
Tanks are used to store water contaminated at the Fukushima Daiichi NPP. The issue of radioactive water remains one of a few unsolved concerns in Fukushima following the catastrophe. In March 2011, Japan was hit by a magnitude 9.0 earthquake and a subsequent tsunami. The incident claimed more than 15,000 lives and caused a number of explosions at the Fukushima nuclear power plant.